Home Knowledge F.A.Qs How Much Does a Replacement Cover Cost? As a general rule of thumb, a replacement polythene polytunnel cover will cost you approximately 15-20% of what you paid for the whole polytunnel in the first place. 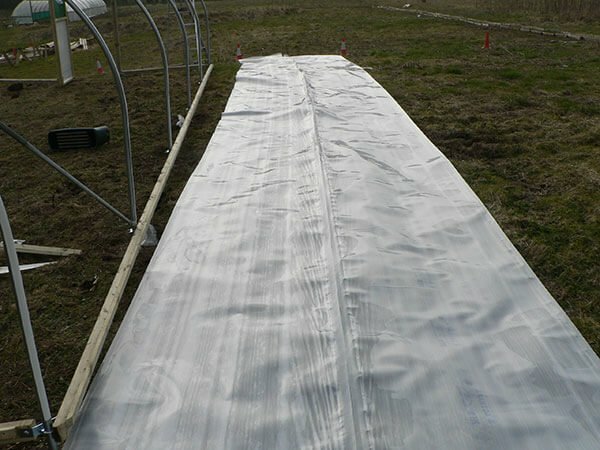 When you think about the fact that the covers on a polytunnel will generally last 5-6 years, if not longer, you can begin to see that even though your polytunnel cover will not last forever, the outlay for replacement covers in future is more than covered by the value owning a polytunnel can add. How Big is Your Polytunnel Cover? The length of the polytunnel in metres or feet. The height of the polytunnel (to the ridge pole) in metres or feet. The distance over the polytunnel hoop, from the ground on one side to the ground on the other. Whether the polythene is trenched, or attached to a base rail. Depending on which type of cover you choose, you may find that it comes in specific widths, so you may discover that you have to order a piece that will leave you with some excess material. Accurate measurements will allow you to keep costs down and avoid buying a cover with a lot of excess material that will have to be cut off. That said, when ordering a replacement cover, it is better to err on the side of caution – it is better to get a cover that is slightly too big rather than one which is slightly too small! Though, of course, you don’t want to buy more material than you need when getting a replacement cover, it is worthwhile remembering that you may be able to make use of any excess material to make other useful things for use around your garden – home- made propagators, for example, a cold frame, cloche, or even a mini polytunnel. You could also recoup some of the cost of the new cover if you can determine ways to use any usable portions of your old cover that are not damaged beyond repair for these purposes too.